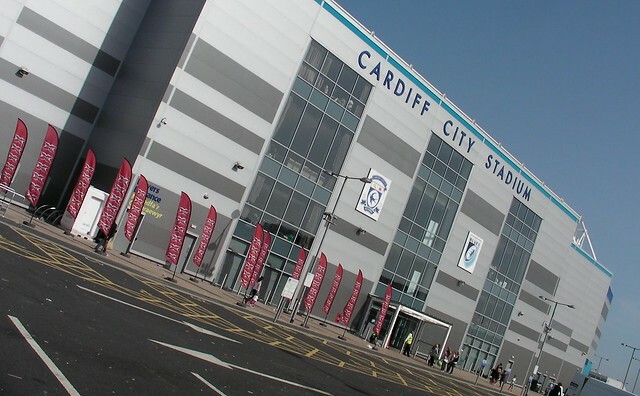 After nearly a month away from The ‘Diff and a month off training at the DW Fitness centre in Leckwith it was with much trepidation that I attended on Saturday and Sunday as soon as I was back in Cardiff. 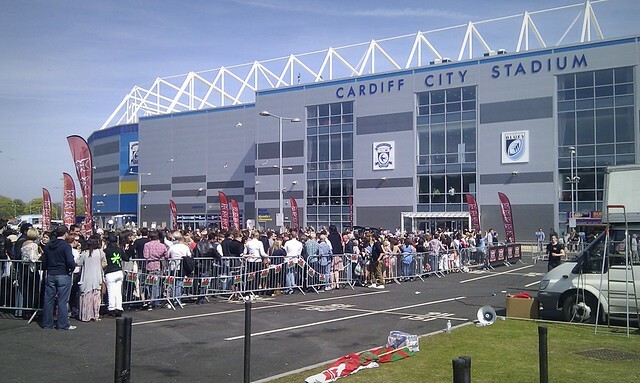 The gym sessions were a bit of a struggle but it seemed the many hundreds (if not thousands) of people who were queueing for the X Factor auditions at Cardiff City Stadium also had a major struggle in impressing the judges for the preliminary rounds in the ITV hit singing contest. 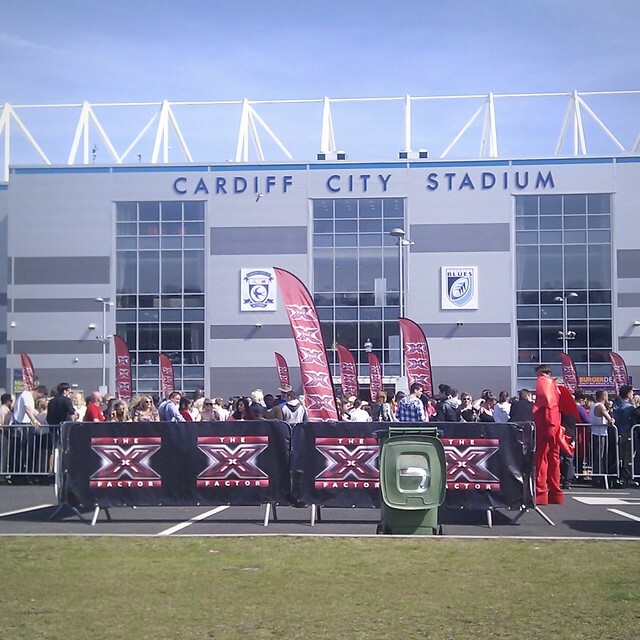 In previous years the contestants have been filmed at one venue for the external shots ie Cardiff City Stadium or the Millennium Stadium but then when we actually get to see them auditioning they have been at a different location ie Holland House or the Wales Millennium Centre. 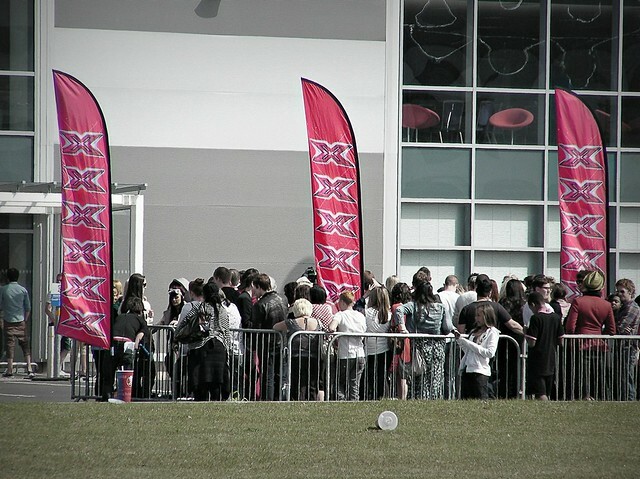 So based on that i’m not entirely sure whether the auditions were actually take place here or not. 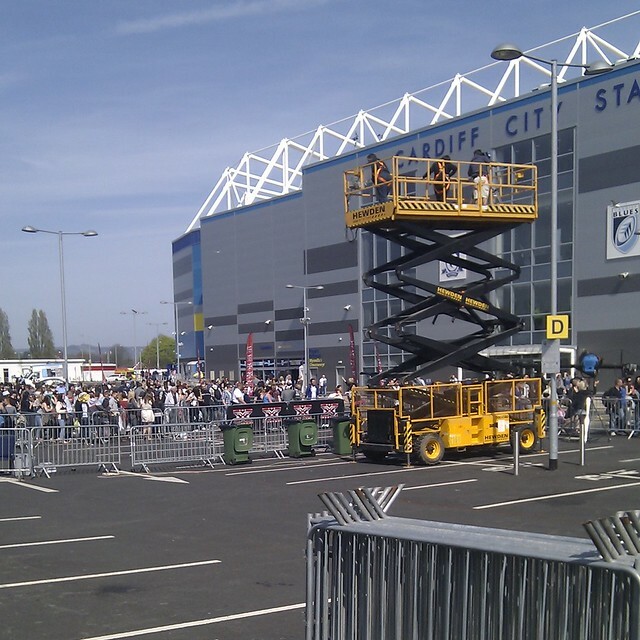 The site seemed to be fully crewed with technical staff, runners, cameramen, big cranes and platforms to get those all important shots. Contestants were being interviewed by staff – with the big white reflectors helping minimise any shadows and making the shots better for HD! 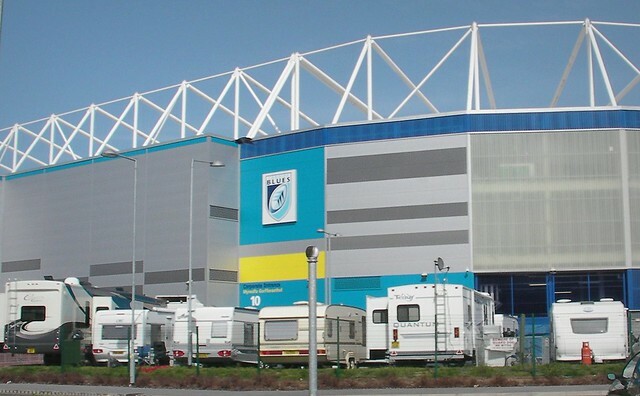 Around the side of the Cardiff City Stadium were some Winnebagos and other caravanette type vehicles – some were pretty big and spectacular so I wouldve expected someone mildy important to be using them – if only for make-up and lavatory purposes! I HOPE SO, GOOD LUCK!